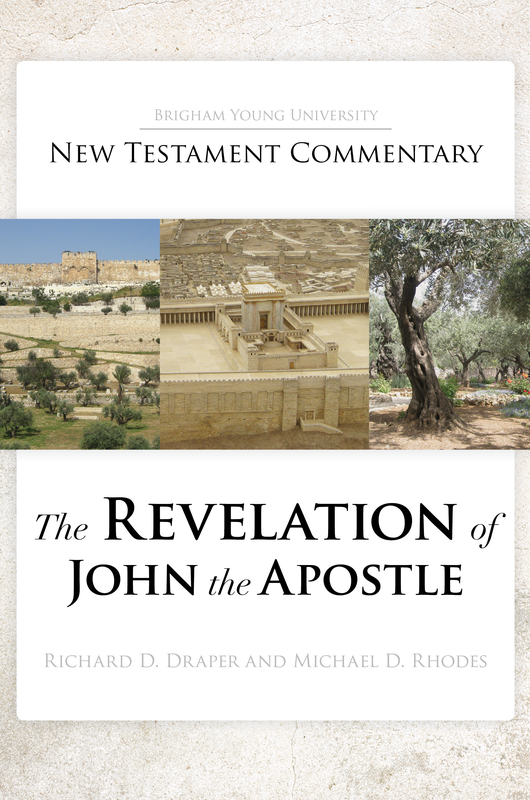 We are pleased to announce the release of the first volume to appear in the BYU New Testament Commentary Series: The Revelation of John the Apostle, by Richard D. Draper and Michael D. Rhodes. The print version is available for $29.99 plus shipping from BYU Studies website or by calling 801-422-6691 d uring business hours, Mountain time. It is hardcover, 918 pages. ISBN 978-1-942161-08-0. These formats can be read on various devices and on computers. If you have already purchased an e-book and would like an updated version, if you purchased the Deseret Book version, you should “Archive” the old version and download the new version. If you purchased the Kindle version, Kindle should email you when the e-book has been updated. For further information, please contact the vendor from whom you purchased the e-book. Reading the book of Revelation is like stepping inside a red Corvette, strapping on the seat belt, and holding on for dear life as the car drives itself—roaring up precipitous ascents, flying down steep hills, accelerating through short, bumpy straightaways, and banking sharply on an endless series of tight corners. As we try to concentrate on the road ahead so that the car’s movements do not surprise us, we see a myriad representations pass by our gaze, offering a kaleidoscope of colors and lines and images that rush by at bewildering speeds. It stops only when we reach the last line of the book. As we finally come to a stop and look intently on John’s master work, now bathed in a full sun, we behold a world that strikes us at first as fearfully and mysteriously strange and fantastic—a world full of bizarre and incongruent images, many formed of impossible combinations, almost like Alice in Wonderland on steroids. Once these symbols, however, are properly deciphered, they combine to present crucial messages for those living in the last days. These messages were designed by God to lead all, who will read, hear, and do, successfully through these troubled times. Latter-day Saints are in an excellent position to decipher and understand these symbols. To these people the Lord promised, “when you shall rend the veil of unbelief . . . then shall the great and marvelous things which have been hid up from the foundation of the world [be revealed]. And the revelations which I have caused to be written by my servant John shall be unfolded in the eyes of all the people” (Ether 4:15–16). Now is the time of that unfolding. This commentary presents a comprehensive analysis of John’s book through the lens of the LDS doctrine and Mormon experience. God delivered his messages in the form of images housed within discrete visions, with each symbol explaining, exposing, or emphasizing various aspects of the message conveyed. The challenge is getting beyond the symbols to the represented realities. One of the strengths of the BYU New Testament Commentary Series is that it brings together all the elements revealed during the Restoration that help to interpret the book and disclose its messages. Information is drawn from all the Standard Works of the Church as well as the Joseph Smith Translation of the Bible. In addition, insights from the modern Prophets and Apostles have been included. Even so, the best of world scholarship has not been overlooked. The work also presents a full rendering of the Greek text into English, set side by side with the King James Version for easy comparison. The commentary also contains translation notes on and analysis of every verse. The work strives to be as up-to-date, comprehensive, scholarly and doctrinally sound as possible. 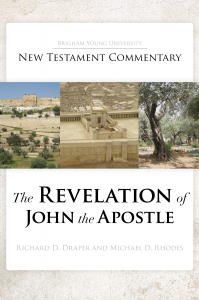 Most important, the commentary emphasizes the primary focus of John’s work, “the revelation of Jesus Christ” (Revelation 1:1). The commentary highlights the Apostle’s witness that Jesus is the Lamb of God alive and active in these last days—directing earthly affairs and preparing his Saints and the faithful so that the Father’s intentions will ultimately be accomplished. Along with all its latter-day horrors, hope and promise still dominate the work. The Lamb is in charge, and nothing moves beyond the limits he sets. He is coming to “destroy them which destroy the earth” (Revelation 11:18) and to bring his people into triumphant millennial glory. This commentary details how. We gratefully acknowledge significant support from the John A. Widtsoe Foundation in Los Angeles, California, as the Publication Sponsor for this Commentary Series.